The Trump administration’s executive order barring access to the US for citizens from Syria, Yemen, Sudan, Libya, Iran and Somalia, has had the collateral consequence of banning citizens from the Republic of Somaliland, which is officially still considered to be part of Somalia and is not recognised by the international community. This highlights both the precariousness of Somaliland’s legal status and the importance that the country’s recognition on the international stage has for the population. This travel ban threatens the possibility for Somaliland to move forward with its efforts to see its sovereignty recognised and greatly reduces the opportunity of young people to access education in the US. Below is an article published by the Washington Post. Amid the discourse, debate and dissent over President Trump’s emerging foreign-policy agenda, there is one thing on which most would agree: The new administration will not be bound by conventional wisdom. Such a path has both peril and promise, but for the Republic of Somaliland, challenging diplomatic conventions has been a mainstay as we have pursued recognition as an independent, sovereign and rightful member of the international community. The executive order suspending travel from six countries, including Somalia, to the United States brings light to our enduring cause yet also poses threats to our progress. By most measures, Somaliland is an independent nation — according to the Economist, it “ticks almost all the boxes of statehood” — albeit one with a complicated history. A former British protectorate, Somaliland achieved full independence from Britain in 1960 and subsequently united with Somalia, thereby creating the Somali Republic. 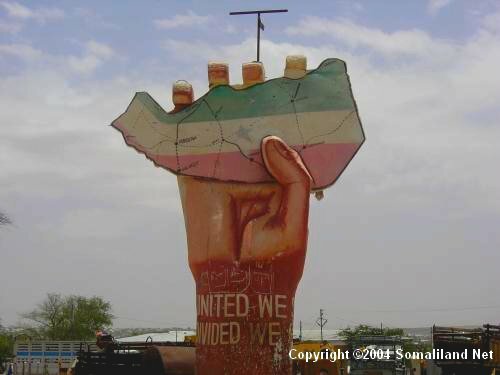 In 1991, at the height of a chaotic and bloody civil war in Somalia, the Republic of Somaliland reclaimed its independence, and has since enjoyed self-governance and freedom. With the collapse of Somalia’s governing institutions, civil unrest and terrorist attacks dominated global attention over the years, requiring vast resources from the United States and other nations. Somaliland focused on building strong state institutions, maintaining peace within our borders and creating a sustainable economy with comparatively minuscule foreign assistance. Through these efforts, Somaliland has remained at peace and serves as a model for others. Our government mints its own currency and issues its own passports, our military and police are firmly in control of our territory, and our private sector produces modest but respectable economic growth. We have held numerous elections and will elect a new president later this year. We are a reliable partner to the United States and the paragon of a Muslim-majority country that celebrates democracy. Yet without acknowledgment that these conditions in no way resemble those plaguing Somalia, the Trump administration’s travel ban will prevent our citizens from entering the United States. This dilemma typifies the precariousness of Somaliland’s unresolved legal status. Our citizens are subjected to restrictions imposed on Somalia, which regrettably remains a haven for terrorist organizations. In contrast, there have been no acts of terrorism in Somaliland since 2008. From our capital, Hargeisa, Mogadishu seems a million miles away, yet its circumstances and other nations’ policies affect our daily lives. Relieving Somaliland of these unjust impediments to our progress would benefit not just our nation, but also the United States. Greater international recognition of Somaliland, led by the United States, would incentivize better governance and economic self-reliance elsewhere in sub-Saharan Africa, as well as positively contribute to global security. Ironically, at the recent meeting in Washington of the Global Coalition to Counter ISIS, Somalia’s representative had a seat at the table but Somaliland’s voice was absent. This was a missed opportunity, as Somaliland’s stability and success in curbing the threat of violent extremism should be a strategic asset of the coalition. To address these challenges, my government is seeking an exemption from the executive order and is encouraging the United States to take steps toward the recognition of Somaliland as an independent member of the international community. Upending the conventional wisdom in this way would allow Trump to turn an unintended consequence into an opportunity and acknowledge that in the eyes of the United States, sovereignty is conferred — and partnerships are forged — through sustained democratic governance, the promotion of economic opportunities, and an enduring commitment to peace and security.